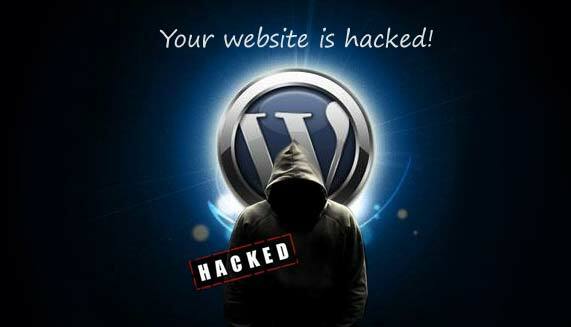 180% Increase In Website Hacking, Are Your Secure? 04 May 180% Increase In Website Hacking, Are You Secure? Search is a powerful tool. It helps people to find, share, and access an amazing wealth of content regardless of how they connect or where they are located. As part of Google’s search quality team, they work hard to ensure that searchers see high quality search results—and not webspam. They fight spam through a combination of algorithms and manual reviews to ensure that sites don’t rise in search results through deceptive behaviour, especially because those sites could harm or mislead users. In 2015 website hacking has increased by 180% year on year. Lets take a walk through some of the Google findings in their 2015 webspam report and talk about some of the measures you should be taking to ensure you don’t become a victim to a website hacking. First Thing’s First, What is a Website Hacking? To get yourself out of a website hacking is a long and painful process so it’s highly recommended you take the necessary precautions to ensure you are not a victim. Google is beginning to really focus in on webspam and tackle websites that are either a very poor user experience or are doing something a little more deceptive. 180% in website hackings in 2015. An overall increase in thin, poor quality websites. Creating a password that’s difficult to guess or crack is essential to protecting your site. For example, your password might contain a mixture of letters, numbers, symbols, or be a passphrase. Also, try not to use the same password for everything that you use, there are plenty of great solutions our there such as LastPass to help you manage so many logins. Keep in mind attackers often try known username and password combinations obtained from leaked password lists or hacked services to compromise as many accounts as possible. One of the most common ways for a hacker to compromise your site is through insecure software on your site. It’s vital you constantly update your websites software and CMS. WordPress can be vulnerable through the many plug-ins and add-ons that come with it. Ensure you switch on security announcement lists for your web server software and your CMS. Here at Boxed Digital we take security very seriously which is why we offer full security and back up with our website box solution. Your hosting provider’s policy for security and cleaning up hacked sites is in an important factor to consider when choosing a hosting provider. You should understand exactly just what they are willing to provide in this space to give you peace of mind, many will charge extra for these services. As an Ozhosting partner we have the ability to offer you all this and more within our website box. It’s important to have tools that can help you proactively monitor your site. We recommend you sign up for Search Console if you haven’t already. Search Console is Google’s way of communicating with you about issues on your site including if we have detected hacked content. You can also set up Google Alerts on your site to notify you if there are any suspicious results for your site. We will automatically set you up and ensure we are tracking all this for you so you can focus on our business. Website security is important, it’s very important you understand but we believe it’s something your website provider should provide for you. We include all aspects of security for our website clients, drop us an email today to find out more. Lets take a walk through some of the Google findings in their 2015 webspam report and talk about some of the measures you should be taking to ensure you don't succum to a website hacking.